GoldStar Trust Company is one of the leading industry self directed IRA custodians. They count more than two decades of experience and over 37,000 IRA accounts with assets over $1.9 billion among their highlights. The firm specializes in a variety of niches in the business, including church finance and church bond investments, custodial accounts of various kinds, Swiss annuities, private investments, and more. Their sliding scale annual fees are a lone detractor from this excellent operation. GoldStar Trust Company is ranked #3 on our list of the top Gold IRA companies of 2019. In the following review, we'll cover this custodian's history, management, reputation, products/services, and fees. GoldStar Trust Company (http://www.goldstartrust.com/) is an industry-leading self-directed IRA custodian with more than two decades experience and more than 37,000 IRA accounts holding assets worth more than $1.9 billion. The company began as Colonial Trust Company in 1989 and in 2004 entered into negotiations with Happy State Bank to become their trust-only branch. Happy State Bank is one of the biggest banks in the Texas Panhandle. In 2006 GoldStar Trust Company acquired American Church Trust Company and the next year all operations were moved to the current location of their headquarters in Canyon, TX. Although not much information is given about the management staff on the company's official website, we were able to find this video interview with the company's President, John K. Johnson. John also appears in a web interview with ASI Precious Metals Direct. More information about the company's management can be found on their About Us page. Note that GoldStar Trust Company charges sliding scale annual fees, which increase along with the market value of the assets held within the account. This fluctuating fee structure is typically less preferable than the flat-rate annual fees that some other custodians charge. Fees – An overview of the company's fee schedules for various types of IRAs. 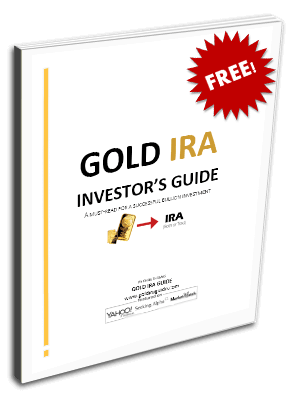 Precious Metals IRA – Explains the advantages and process of setting up a precious metals IRA with GoldStar Trust Company. Storage – Provides an overview of three popular depository services typically used to store precious metals within an IRA. If you're an owner, representative, or associate of GoldStar Trust Company and you've found any of the details in this review to be erroneous, misleading, or outdated, please do contact us with your concerns. With the intent of providing the most accurate reviews on an ongoing basis, we will gladly revise or remove any content that is outdated or incorrect. 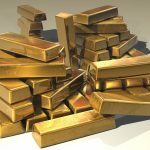 Best online reputation of any Gold IRA company; A+ rating with the better Business bureau, AAA rating with the Business Consumer Alliance, and 5-star ratings on Yelp, The Yellow Pages, Google+ and Trustlinkorg. Over two decades of experience and $1.9 billion under management. They boast more than 37,000 IRA accounts. They offer a wide variety of unusual investments such as Swiss annuities, private investments, and church bond investment opportunities. Sliding scale fees are a lone detractor as the costs for having a growing account similarly increase.